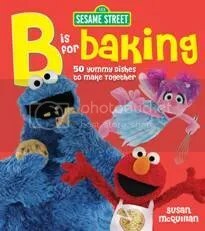 B is for Baking is the fun-filled, baking companion to Sesame Street C is for Cooking, 40th Anniversary Edition. Containing over 50 nutritious recipes, B is for Baking promises hours of baking fun for kids and parents alike. 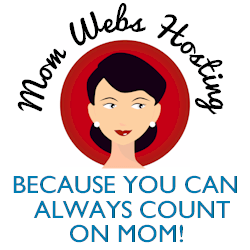 I loved cooking with my mom. I have vivid (and very fond) memories of standing on a chair, measuring, mixing, and of course, tasting various creations. Some were great (cookies), others were not such big hits (grain burgers). So, I couldn’t wait until my son was old enough to don an apron and help me out in the kitchen. The problem: cooking with a toddler is hard. It involves cutting with sharp knives and stirring hot pots–not exactly toddler-friendly activities. That left baking. The majority of simple baking recipes are pretty safe minus the oven part. The problem here is that I am a horrible baker. I can whip together a decent meal, but baking is definitely not one of my strongest talents. I think I am just too impatient to measure, sift, and well, read directions. But, in the name of childhood memories and with the hope that I could handle recipes designed for kids, I gave B is for Baking a try. After flipping through the book several times, I decided to try “Abby Cadabby’s Magic Lemon Pudding Cake” mostly because I had the ingredients. Similar to the process of making a soufflé, the batter was supposed to magically separate in the oven leaving a pudding on the bottom and sponge cake on top. We’ll see about that. My son and I beat egg whites, juiced lemons, and folded in flour. We set our creation in a water bath and gave it a parting “good luck” as we closed the oven door. One hour passed and it was time for the big reveal. Was I going to be put to shame by a kids baking book? To the relief of my inner-Julia Child, the pudding cake actually came out as it was supposed to! Well, it was a little more brown than it probably should have been, but in my world the fact that it wasn’t scorched or a runny mess made it a success. With catchy Sesame Street-inspired names, full-sized photos, and easy to follow-directions, B is for Baking delivers its promise. The recipes from turnovers and quiche to enchilada pie and crumble will keep families well-fed while creating great memories in the process. B is for Baking and C is for Cooking are available at bookstores nationwide and online. Disclosure: I was provided with a complimentary copy of B is for Baking in order to facilitate this review, the opinions are my own.